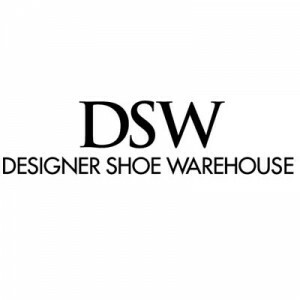 DSW Inc. is a leading footwear retailer in the US, focusing on designer shoes and fashion accessories. The company aims to deliver great value to its customers by offering them the best shoe at the perfect price. Founded in 1969 as Sonac Corporation, it was previously a shoe licensee for discount department store Value City. It eventually acquired Value City in 1998. By the following year, the company already had 48 stores. Today, it has more than 500 stores and operates in 43 states in the US. It recently opened its first store in the Middle East. It operates a popular e-commerce site and has an award-winning loyalty program called DSW Rewards. It has a lot of benefits lined up for its employees such as medical and dental vision benefits; disability and life insurance; 401(k) retirement plan, paid holidays; pre-tax health, dependent care & commuter accounts; and tuition assistance. The company has high reviews in employee and recruitment websites because of its culture, management, and work-life balance. Employees say it is a good place to work, especially since its managers act professional. How old do you have to be to work at DSW? Interested applicants as young as 16 years old can apply for a job at DSW. They often take on entry-level jobs such as part-time sales associate or stock associate. Because of its many locations, the company is always in need of sales and stock associates to man their stores. Supervisors and managers are also in demand, especially in newly-opened locations. The company is likewise open to part-time employees. Part-time staff: Part-time sales associates are required to assist customers and make sure their needs are met. Sales associates are also expected to know how to handle the cash register and issue receipts. Part-time stock associates are expected to keep the backroom and stocks organized. They are responsible for preparing merchandise before they are brought to the floor for display. Sales Associate: Full-time sales associates represent the company’s customer service model. They should be able to explain the DSW Rewards program to customers and help them find the perfect shoe. They are in charge of keeping the store clean and organized, as well as completing markdowns and keeping clearance area standards. Stock Associate: Stock associates perform general stocking duties for six to eight hours a day, sometimes at night while the store is closed. They are responsible for processing and verifying income shipment. They should be knowledgeable of the merchandise, making sure price tags are attached. Stock associates may also be asked to operate handling equipment. Loss Prevention Agent: A loss prevention agent is expected to protect the store’s assets. They are in charge of promoting shortage prevention and detecting and apprehending shoplifters. Their priority is to recover stolen merchandise and deal with customers who commit theft or fraud. They should be capable of preparing reports on all theft incidents. Loss Prevention Supervisor: Those in this position are in charge of executing the company’s Loss Prevention, Shortage Control, and Safety programs. All loss prevention associates report to the loss prevention supervisor. A loss prevention supervisor should be effective in deterring individuals who plan to commit theft or fraud in the store. All detected incidents should be reported and resolved by the supervisor. Lead Cashier: The lead cashier helps store management in handling the store’s cash sales. He or she is also responsible of training associates assigned to the register. The lead cashier is in charge of opening and closing all registers, as well as changing orders. In addition to preparing closing paperwork, he or she audits supplies and walkie-talkies and maintains the petty cash. Stockroom Supervisor: The stockroom supervisor makes sure that his associates keep the stock room area organized. He or she trains and coaches stockroom associates and writes reports on daily sales and damages. It will also be his or her responsibility to audit merchandise inventory and store productivity. Sales Supervisor: A sales supervisor leads and coaches associates to reach the store’s sales and performance goals. He or she is responsible for ensuring urgent response to customer feedback and guides associates through performance review and other activities. The sales supervisors help the management in opening and closing the store and make sure that reports are written and implemented. Assistant Store Manager: The assistant store manager helps develop and implement action plans to ensure customer service standards. He or she supervises the hiring and training of associates and works with other supervisors in promoting product knowledge. The assistant manager is also responsible for visual presentation, inventory control, and financial processes of the store. General Manager: The general manager has full accountability of the store’s business performance and customer service standards. He or she should direct and educate the staff in order to reach company goals and adapt to changing business trends. The general manager is in charge of conducting the annual performance evaluation for the associates and the monthly operations assessment. If you are interested in working for the company, it has an extensive Careers website where they post job openings. There are available careers in their storefront, corporate office, distribution center and customer service center. The job listings include addresses of the stores and when the opening was made available. Applicants simply need to create an account, sign in, and fill out the online form. The company will call back for an interview. The application form will include common personal information such as name, address, and employment history. It will also include a chart for the applicant to take note of available schedules in case working part-time is an option. It is important that an applicant’s resume is straightforward and well-organized. He or she should have complete contact details for references and a complete list of education and work experiences. The job interview usually lasts for about 30 minutes. There might be more than one person facilitating the interviewing, including the direct supervisor, the assistant store manager, and the general manager. Employees suggest being upfront and honest about work experience. The company prides itself in believing in “the power of shoes.” It promises future employees of being a part of a family that loves shoes and has the passion, accountability, collaboration, and humility required to succeed. In Q4 2017, the company announced its third quarter financial results to investors. It reported a $708.3 million increase in sales for the quarter and a $2.1 billion increase in sales over the previous year’s first nine months. Customers love the enormous range of products available at its stores that not only feature designer and name brand shoes, but also handbags and other accessories. The shoes come in all styles and sizes and are well-organized. The company has made strides in philanthropy. It has tapped its associates to volunteer for local programs such as the Big Brothers Big Sisters Project Mentor program and has also donated to organizations chosen by their associates. 1 How old do you have to be to work at DSW?